The International Cricket Council (ICC) wants to make cricket an Olympic sport and wants the sport to grab a spot at the 2028 Olympics. But a lot will depend on the Board of Control for Cricket in India's (BCCI) take on this as the board has issues with National Anti-Doping Agency (NADA). If Cricket is to be played at the Olympics, then the BCCI must adhere to World Anti-Doping Agency rules. According to a report in The Times of India, ICC CEO Richardson wants the BCCI to adhere to WADA's rules besides finding a solution with NADA. It has reportedly been trying to get the BCCI under its scanner for quite some time. The BCCI, in response, has maintained that it isn't a national sports federation and isn't keen to come under the jurisdiction of the anti-doping bodies. If the BCCI agrees to come under NADA, then it will face interference from the Sports Ministry, as stated by the CEO. He spoke to The Times of India, saying, "It's for the BCCI to decide how much government interference they can allow and we are trying to help BCCI sort out the issue". He feels that playing the sport at such a level will help it to grow and bring fans closer. "At this stage, we need to convince BCCI that it is a good thing for cricket to be in the Olympics from all aspects. It will generate more fans, growth. The game will get better," Richardson added. 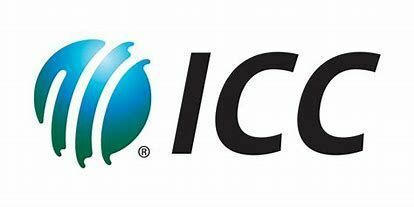 According to the ICC, the inclusion of cricket in the Olympics will also help in generating government funds in several countries for the sport and provide Cricket with recognition at such mega-events.